Work: Complete reconstruction of this road and installation of underdrains to control groundwater. 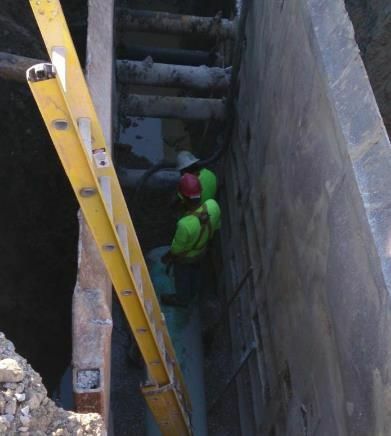 Work: Complete reconstruction of this underpass and installation of underdrains to control groundwater. Status: The Caroline Underpass is currently closed to all traffic except for emergency vehicles. A signed detour is in place to direct vehicles to KY 16 (Decoursey Avenue) and access to all residential buildings will be maintained. The intersection of 34th Street and Caroline Avenue is also closed to all traffic except for emergency vehicles. These closures will remain until the reconstruction of the roadway has been completed. 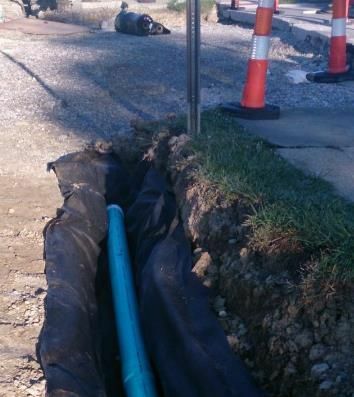 The contractors have been working on replacing the combined storm water and sanitary sewer system. Work: Complete reconstruction of the deteriorated sections of roadway. 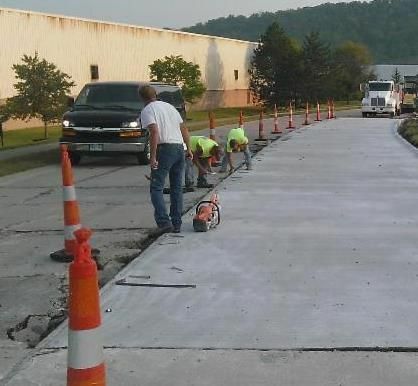 Status: The contractors have replaced the first half of the work planned for the lakeside of the roadway and are continuing to work along that side of the road. The project is scheduled to be completed by the end of the year and two-way traffic will be maintained. Work: Sidewalk replacement, underground utilities, rain gardens, street trees, decorative benches/garbage cans/sign posts. Status: The contractors have completed everything on the east side of Madison Avenue between 7th and 8th except for the landscaping that is to be installed in the bumpout. They have moved to the west side of Madison on this same block. 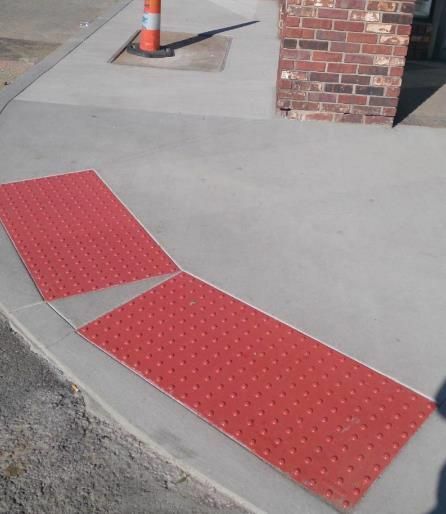 Work: A city-wide project and schedule to improve sidewalks throughout the City. Status: South Covington sections were advertised for bid August 24 with work to begin this year and completed in the spring. Prus Construction was awarded the contract. Work: The existing tie-back walls will be extended to correct the slide that continues to worsen near Meinken Field. Status: Project was advertised August 24 to secure a third party contractor. Scherzinger was awarded the contract. Work: The project will repair the concrete spalling on the underside of the bridge and seal the joints on the top of the bridge along the sidewalk to prevent further water damage. Status: Project was advertised August 24, to be completed by end of year. Intech was awarded the contract. Work: Underground utilities and sidewalk replacement on the east side of Madison between Tobacco Alley and 5th Street. Status: The construction contract was awarded to Hendy Inc. at the commission meeting on September 24. Work: The items remaining on the mobile home site will be removed and the site will be re-graded. Status: Preparations for advertising an RFP is in the final stages with hopes that the project will be complete by end of the year or by next spring. Work: This project will create a gateway at 6th and Scott Boulevard to both Madison Avenue and Mainstrasse. Status: Currently in design phase to form a plan to create a gateway between Madison and Mainstrasse. Project will include underground utilities and sidewalk replacement. Work: Sidewalk and aesthetic improvements to the corner of Pike and 8th Street. Status: Plans to be completed and project ready to advertise by the end of September. Work: Roadway and sidewalk stabilization project. Geotechnical review will begin within the next few weeks to determine necessary design. Status: Coordinating geotechnical borings with Riverfront Commons Schedule. Work: The chain link fence along the north side of Highway Avenue will be replaced with a decorative fence. Status: The Kentucky Transportation Cabinet is working on an agreement to authorize funds for this project. Work: This project will improve the City's riverfront along the Ohio River from the base of Greenup Street west to Route 8. Status: Woolpert, Inc. was selected as the design engineer for the project. A kickoff meeting has been held to begin to finalize the design plan.